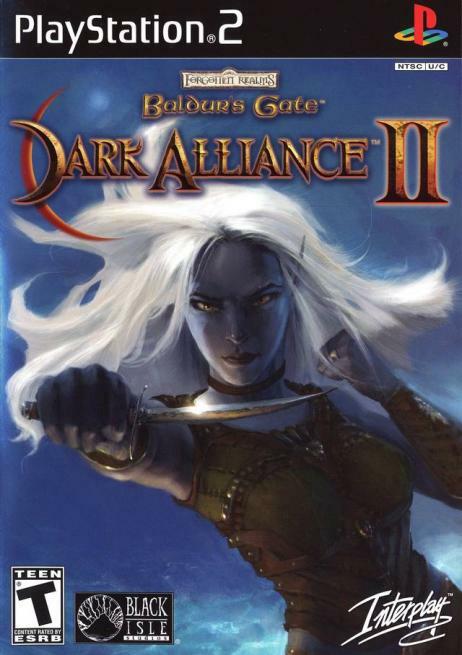 GB: First of all, how is Baldur's Gate: Dark Alliance II coming along? Do you think the game will ship this year yet? Terry: It's absolutely fantastic! We are putting on the finishing touches this very moment. It's been a long haul, but totally worth it for us! We'll have the game out there for the holidays. GB: Can you tell us a bit about the five playable characters in the game? Are you still looking to add an unlockable character? GB: How many new spells and feats are going to be available in the game? Any particular favorites you'd like to elaborate on? Terry: On average, the player will start with 22 feats and spells available to them, with several more unlockable later in the game. We kept some of the basic feats from Dark Alliance, such as Iron Will, Sprint, Toughness, etc. Besides those, the rest of the feats and spells are brand new! I can't say enough about the feats! We have so many great ones to choose from. It really depends on which character I am playing, but one of my personal favorites is Ransack. It's only available to Borador, the Dwarven rogue. Basically, you can kick extra loot out of monsters and chests! Talk about getting rich! GB: What sort of environments will players make their way through in the game? Any particular setting in the game that you find most interesting? Terry: Players will find themselves is a number of odd settings not normally seen. You can expect the old favorites, crusty dungeons, a visit to somewhere familiar from Dark Alliance, thick forests and the like. Players will also venture in to the elemental planes! Things get pretty crazy there... I like those a lot, especially the Plane of Air! GB: Tell us about some of the "boss" enemies in the game. What are some of the more difficult adversaries players can expect to battle?